The entire Christmas season is packed with events and contests during the "A Christmas Story" Comes Home Exhibit. Below you’ll find all of the annual events. 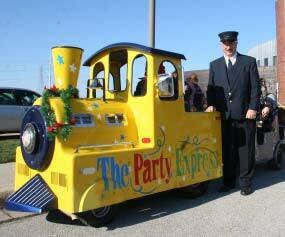 • Take the kids on a free train ride. • Get the kids their own fudge puppy made to their liking. • Play a game of "Flick" bingo to win prizes. • Watch the "A Christmas Story" movie in the theatre. • Take a photo with Santa. • Search for items in the Scavenger Hunt. • Write a letter to Santa and put it in the giant Santa mailbox. • Purchase crafts or cookie kits for the kids to decorate at the craft table, or color the Christmas themed coloring pages. • View the animated window displays. The pop-up market, which will feature artisan vendors from around the Region, will take place in a warm and cozy tent at the Indiana Welcome Center. 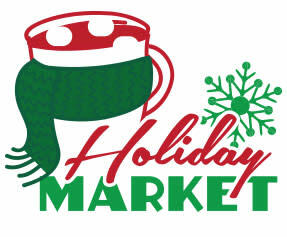 There will be more than a dozen vendors, selling items such as hand-knit scarves & hats, jewelry, gourmet food, LuLaRoe apparel, holiday decor, pallet signs and more. The relay race depicts the tire changing scene in "A Christmas Story," where Ralphie spills lug nuts onto the street and says the "F dash-dash-dash" word. 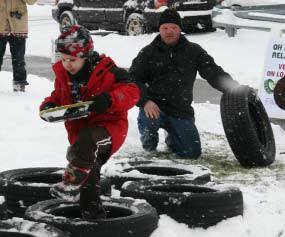 The parent/child teams “change a tire” and run through an obstacle course while holding a hubcap filled with lug nuts steady. There will be two age groups based on the child&apos;s age: 4-7 and 8-12. Registration and check-in starts at 9:30 a.m. *All past winners are ineligible to win contests. The infamous scene in "A Christmas Story" where Randy Parker eats his mashed potatoes like a “little piggy” will be recreated. 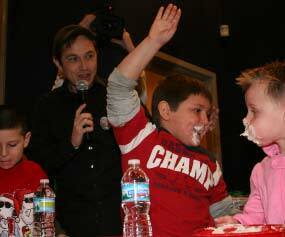 Join the fun and see if you can eat the most mashed potatoes the fastest or just come by to watch the mess unfold! This contest has four age categories (4-7, 8-12, 13-17 and 18 and over) where contestants can compete against their peers to win prizes valued from $50 - $100. *All past winners are ineligible to win contests. Please bring in canned food/non perishable items as an entry fee. Items go to the Northwest Indiana Food Bank. 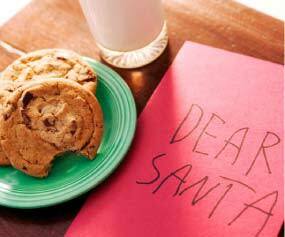 Write a theme about what you would like to receive for Christmas, just like Ralphie Parker wrote about the BB gun he wanted. Essays should be more than 20 words, but not exceed 250. Entries will be judged in four separate age groups: age 7 and under, 8-12, 13-17 and 18 and older. Themes will not be judged against other entries, but stand alone entries. Entries can be dropped off at or mailed to: Indiana Welcome Center, 7770 Corinne Drive, Hammond, IN 46323. All entries must be clearly labeled with your name, address, day-time phone number and age category. *All past winners are ineligible to win contests.